A great selection of the apartments ideal for self-catering holidays can be found throughout the city of Dubrovnik. You can choose from staying in the historic Old Town, the attractive Ploce neighbourhood, close to the numerous beaches in Lapad or a walk away from the ferry and cruiser port. Apartments in Dubrovnik range from basic to luxurious ones. They usually consist of a bedroom (or several bedrooms), an ensuite bathroom with a bathtub or a shower, a well-equipped kitchen and a living room. 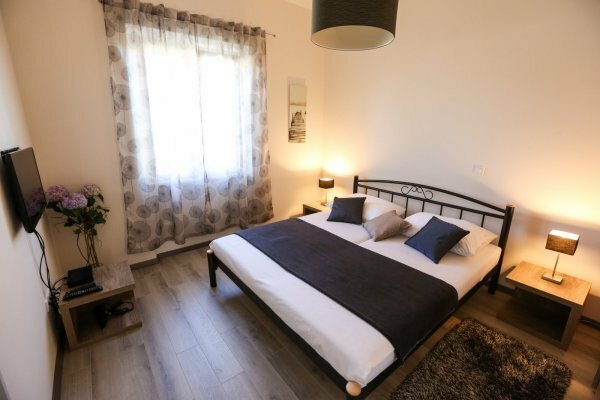 The apartments usually include air-conditioning, satellite TV, Wi-Fi Internet, microwave, oven, toaster, kettle, washing machine, hairdryer, iron etc. Many apartments are situated in family houses and have an outdoor area ideal for relaxing or al fresco dining. If you are arriving by car be sure to ask your host if they have a private parking space since parking in Dubrovnik can be a problem. Staying in an apartment is a cheaper option than staying in the hotel with the same comfort. The rental prices of apartments range depending on the season. During the high season (June, July, August) they range from €40 to €150 depending on the number of rooms and their location. We advise you to book your apartment in advance since there is a great demand for them during the summer season. If you stay in the Old Town you will be in the thick of things, close to the sights, restaurants, bars, small galleries and souvenir shops. It will be easy to take a walk around the city's walls or explore Dubrovnik's museums. This area is pedestrian only, but just outside the city walls there are several car parks. A public garage is only 10 minutes away. Within a few minutes' leisurely walk there is one of the most popular beaches in Dubrovnik, Banje beach. The island of Lokrum is situated just across the Old Town and can be reached by boat from the Old City port. Keep in mind that there are a lot of steps leading from the main street, Stradun, so you must be prepared to walk up them. Those wishing to stay outside the city walls, but still close to the historic centre, should stay in the neighbourhoods of Ploce or Pile. The neighbourhood of Ploce is located just east of the Old Town. It is an attractive residential area with amazing views of the city walls, the sea and the green island of Lokrum. Ploce is home to the city's popular beaches - Banje beach and Saint James' beach. To reach some apartments in this area you will need to climb some steps. Located just outside the city walls, the Pile area is a quiet place to stay. Here you will find several great restaurants and bars, the tourist information office and several grocery stores. From Pile you can easily get to any part of the city by bus or a taxi. From the bay beneath Lovrijenac Fortress you can take sea-kayaking tours. Lapad is only a 10-minute bus ride from Dubrovnik's Old Town. This area has a promenade where you can stroll or have a drink in one of the numerous cafés. There are also lot's of children playgrounds, making it an ideal place for families to stay. Lapad bay offers a great choice of beaches where you can rent deck-chairs and parasols or take a part in one of the many outdoor activities. Most of the apartments in this area have terraces or balconies with stunning sea views. Note that the prices of everything from food to accommodation are generally lower in Lapad than in the Old Town. Gruz is located only 3 km from the Old Town and it is an ideal base for exploring Dubrovnik itself and its countryside and islands. From here you can catch regular ferries to the nearby islands (Elaphites, Mljet, Korcula, Lastovo) as well as organised daily tours. The main bus station, from where all local and intercity buses depart, is situated next to the port terminal. In Gruz you will find everything you might need during your stay: grocery stores, bakeries, pharmacy, a rent-a-car office, the tourist information office, travel agency (offering daily trips and excursions), an exchange office, an open market (with a great choice of fruits and vegetables), restaurants etc. In this area a bit choice of apartments can be found. Note that some of them are located up the hill and you will need to climb some steps to reach them. If you prefer a more relaxing holiday you should stay in one of the small villages along the coast outside Dubrovnik. These places are peaceful oases just a short car ride from the city that offer secluded beaches, Mediterranean greenery and breath-taking landscapes.